DNA is not only a popular research topic because it contains the blueprint for life—it can also be used to produce tiny components for technical applications. In a process known as DNA origami, scientists can manipulate the genetic material in such a way that folding the DNA strands creates tiny two- and three-dimensional structures. These can be used, for example, as containers for pharmaceutical substances, as conductive tubes and as highly sensitive sensors. 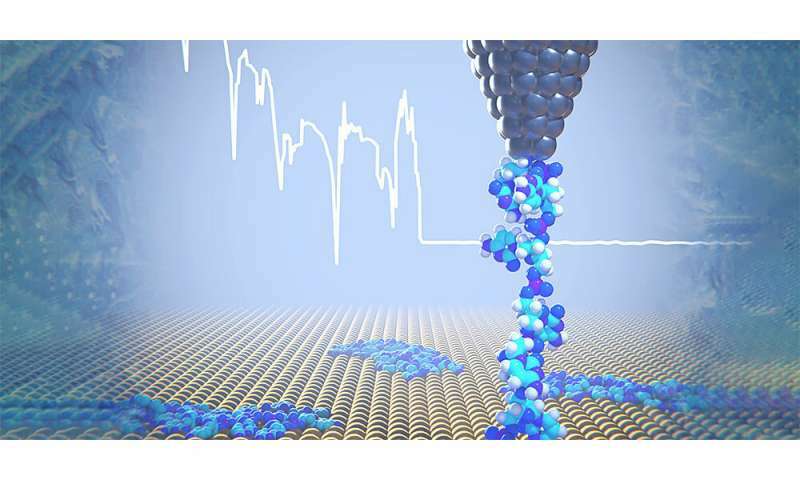 The same is not true at low temperatures: the team led by Professor Ernst Meyer from the Swiss Nanoscience Institute and the University of Basel's Department of Physics have now used cryo-force microscopy for the first time to characterize DNA molecules and examine their binding forces and elasticity. "The longer the detached piece of DNA, the softer and more elastic the DNA segment becomes," explains lead author Dr. Rémy Pawlak. This is because the individual components of the DNA behave like a chain of multiple coil springs connected to one another. Thanks to the measurements, the researchers were able to determine the spring constant for the individual DNA components. 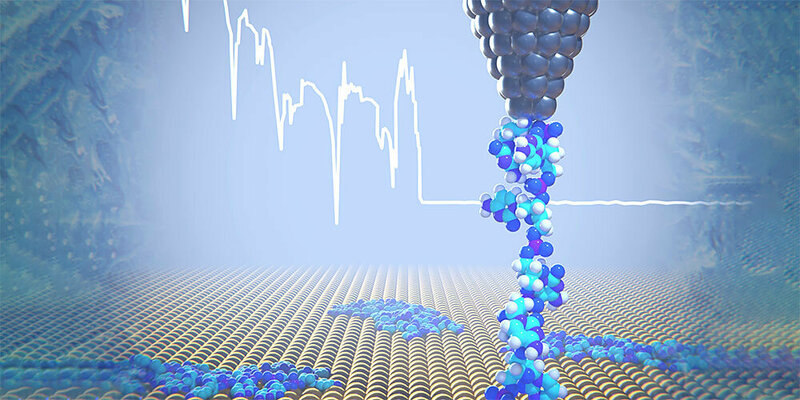 "As with cryogenic electron microscopy, we take a snapshot with cryo-force spectroscopy, which gives us an insight into the properties of DNA," explains Meyer. "In future, we could also make use of scanning probe microscope images to determine nucleotide sequences."